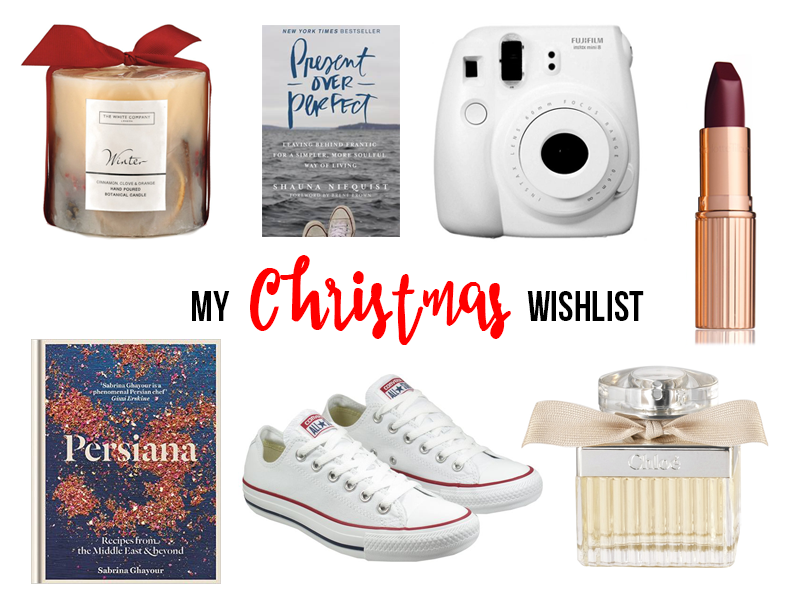 The White Company Winter candle - I absolutely love candles, but I really can't justify buying the expensive ones for myself. I have been dreaming about owning this candle for so long, and yes I know how sad that is! I just love winter fragrances, and this one would be so perfect to burn on cold and frosty nights. Fujifilm Instax camera - I have had my eye on one of these for a while now, and although it is on my wishlist I am hoping that it will go on sale on Black Friday so I can sneakily treat myself. I would love to take this on holidays to capture some of our family adventures, and then put them together in a big scrapbook for Zach. Charlotte Tilbury Glastonberry lipstick - I swear this is the lipstick of dreams! I am a big lover of plum lips in the colder months, and this one looks absolutely gorgeous. A little darker than what I usually go for, this one would require a bit of bravery, but it is just so beautiful! Persiana recipe book - I absolutely love food from the Middle East, so this recipe book is right up my street, especially as I love attempting new recipes and encouraging Zach to try different tastes and textures wherever possible. White Converse - I actually can't believe that I don't already own a pair of these, but I would so love some. What is really great is that they come in half sizes, as my post baby feet are half a size bigger than the used to be (you can imagine how fun that is for me). I've actually bought a pair for Jono, and I would love if we all had a pair and could wear matching shoes. Again, I am totally aware of how sad that is!